Thick straw mulch creates a physical barrier to suppress weeds. Mulch creates a powerful physical barrier to weeds. 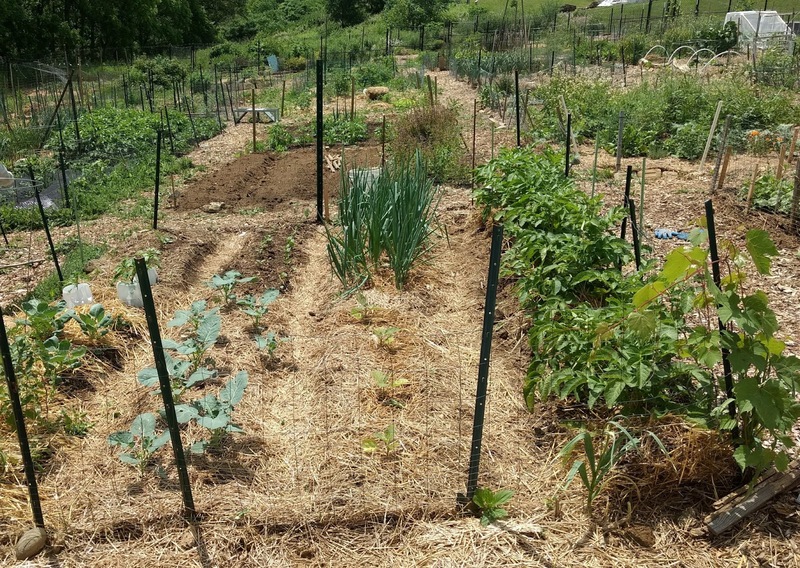 Common mulch choices for vegetable gardens include straw, grass clippings, and chipped leaves. Apply these mulches liberally to create a 2 to 4-inch mat, which suppresses weeds from germinating and growing. Plant-based mulches have the added benefit of adding valuable organic matter back into the soil. Mulch can be applied at any time, but it is generally a good idea to wait until late spring, once the soil has warmed. Vegetables need warm soil to grow, and applying mulch too early will keep the soil cool for longer into the spring, potentially slowing the growth of vegetables. In particularly wet years, mulching too early can also create habitat for slugs that chew on vegetable leaves. 2: Throw away or burn mature weeds – Do not compost them. 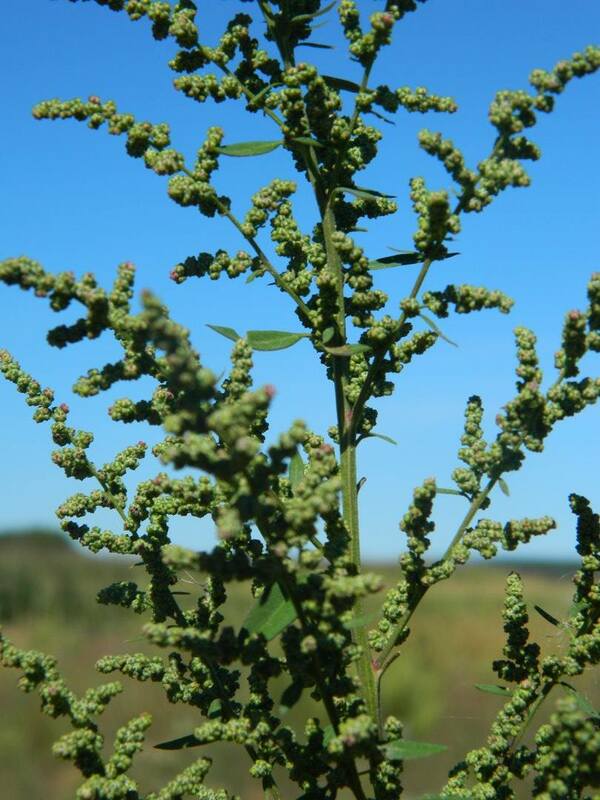 The best way to control weeds is to not have them in the first place. Fortunately, there are ways we can help reduce the amount of weed seeds that get into our garden's soil. The most important tip is to never leave mature weeds in the garden, otherwise they will deposit their seeds into the garden soil and lead to more weeds in the future. Did you know...weed seeds survive in the soil for several years, and some common species can produce hundreds of thousands of seeds per plant?! That's why you should always remove weeds before they are mature enough to flower and produce seeds. But if weeds do grow to maturity, remove them as soon as possible and either dispose of them or burn them - do not leave them in or near the garden, and do not put weeds in the compost pile if they have flowered or have seeds on them. Composting can only kill weed seeds if all parts of the pile reach at least 140 degrees F for an extended period of time. While some commercial farms and composting facilities achieve these temperatures in large piles that are turned regularly, ideal conditions are challenging to achieve in a home garden setting. 3: Use the hoe and tiller wisely! Tilling a garden on May 8, 2018, about three weeks before planting warm-season vegetables. Have you ever noticed big flushes of new weeds after you till your garden soil in the spring? When we till, hoe or rake the soil, that disturbance does uproot existing weeds, but it can also lead to new weeds. 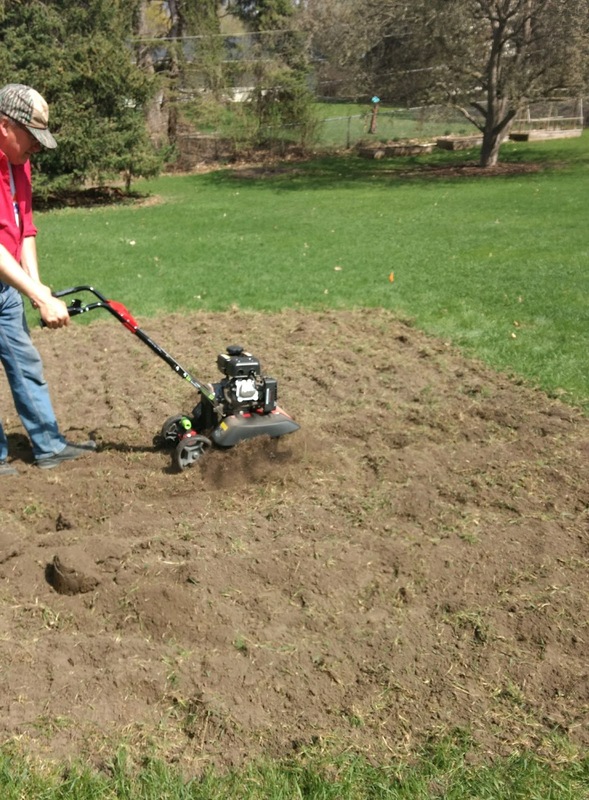 This is because tilling stimulates buried weed seeds to grow by exposing them to the sunlight and warm temperatures that they need to thrive. Using tillage strategically, and understanding a bit about how weeds grow, can help reduce weed problems before even planting the vegetable garden in the spring. A tillage technique called a “stale seedbed” aims to do just that. In the stale seedbed technique, the soil is tilled or hoed just once, about 2-4 weeks before planting. This purposefully forces weed seeds to emerge early, before the vegetables are planted. The soil is then left undisturbed until it is time to plant. Right before vegetable planting, the surface of the soil is raked or hoed again to kill the emerged weeds. After planting, try not to disturb the soil again, in order to discourage new weeds from coming up. A mulch or landscape fabric can be laid down at this time in order to suppress further weed seeds from emerging. It helps you begin the season with a head start on the weeds, and what gardener doesn't like that?! Great tips as usual, Annie! What are your thoughts on cover crops to suppress weeds, and how effective are they in smaller gardening areas (like raised beds)? I use cardboard around my tomato plants. I never weed nor till.